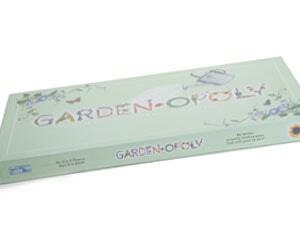 Plant a Garden-Opoly game under the tree, and the green thumbs you love will have a great way to pass winter days until the spring seed catalogs arrive. In the pursuit of organic property, players collect clay pots, battle aphid infestation and dandelions, and dig up gardening tips and educational tidbits. $25.95, Mossback Creek Co., Gaylord, 989-732-4461.